You may have noticed I've been a little absent on my blog and social media the past week. It's been a busy week to say the least, because I graduated! I'm glad to be back blogging but I thought I'd fill you in on my week. On Wednesday my family came around for dinner in mine and Andy's flat before going to their hotel (my nan stayed over with us) and we were tired from making sure the flat and ourselves were presentable. On Thursday I was up at 6am to start my hair and makeup. I originally planned on wearing my Hair Trade Extensions but it would have been too much messing around and went for straight hair. It was a small hassle to say the least when you have no idea where to collect your robes from, where you have to get your photo taken and which entrance you have to go through to graduate. My little sister has broken her leg too so we had to make sure my family had disabled access as she is in a wheelchair. 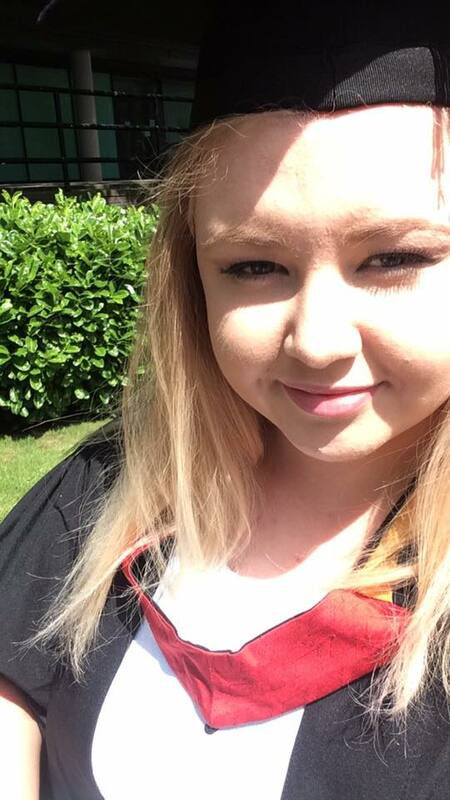 Eventually, I graduated - I'm officially Laura Hadley LLB (Hons)! After a quiet celebration with my family and Andy, we had to have an early night because it was his graduation on Friday. Luckily we weren't up as early as he had an afternoon graduation and we now knew exactly where to go to find his robes etc. At about 2:15 Andy graduated and is now Andrew Mark Smith BSc (Hons)! 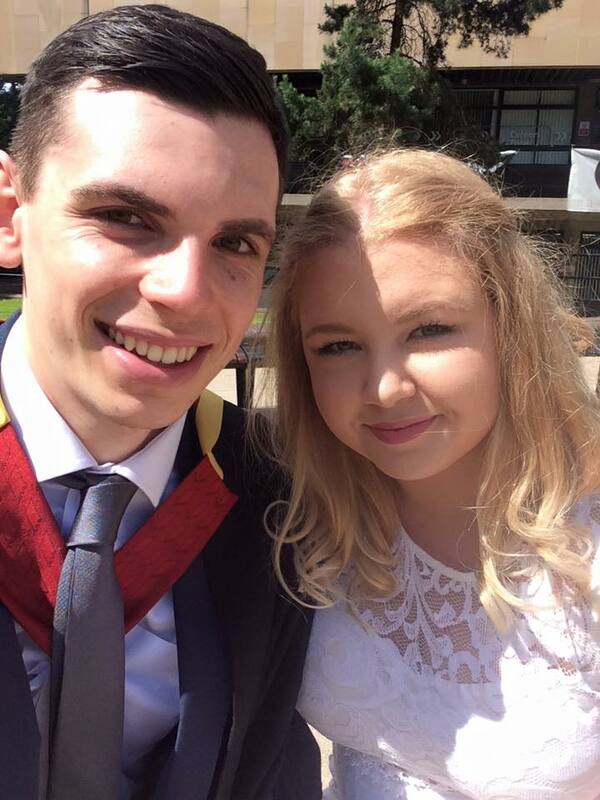 I'm so proud of both of us for getting our way through uni whilst dealing with some personal things at the same time. Now for the next chapter of our lives. For now, we're both moving in with my family in Liverpool and will begin the job hunt from there. Andy knows what he wants from a career and will be utilizing his degree whereas I want nothing to do with Law as far as a job is concerned. Once we have saved enough we will be renting a house together and after that, another chapter will begin! We aren't those typical advertisements of graduates who can jump straight into a job and apartment straight from the university because these days that is a difficult job. We know that we both would love to work in the North West with dreams to tour America one day. We know exactly what we want from life and have done since the day we became a couple. Whilst we're open to suggestions it's safe to say we have it sussed. The summer will be spent enjoying a break from exams and dissertations and with a supportive family, we can slowly ease ourselves into graduate employment without the stress that really isn't needed. I'm looking forward to the next chapter. It feels like I've been Andy's girlfriend for eternity and as soppy as it sounds, I'm loving every minute. It's not often these days you can genuinely not fault your other half. I didn't come to uni to find a boyfriend. I originally came to uni to train to be a solicitor and gain a Masters in Law. I dropped a year off so I gained the traditional Bachelors of Laws and I no longer want to go into that field. The best thing I gained from uni was my boyfriend and I'm thoroughly looking forward for us to continue our lives together. Good luck to anyone graduating or receiving results this summer!